Yeoryia is invited to lead an international design studio at the School of Design, University of Quebec in Montreal, as part of its Design International week between 6-13 May. Guest studio leaders come from a range of practices and are asked to expose students to different ways of thinking about design at the scale of the object, building and the city. Yeoryia will lead her studio under the title Lattice and explore drawing as and through construction. 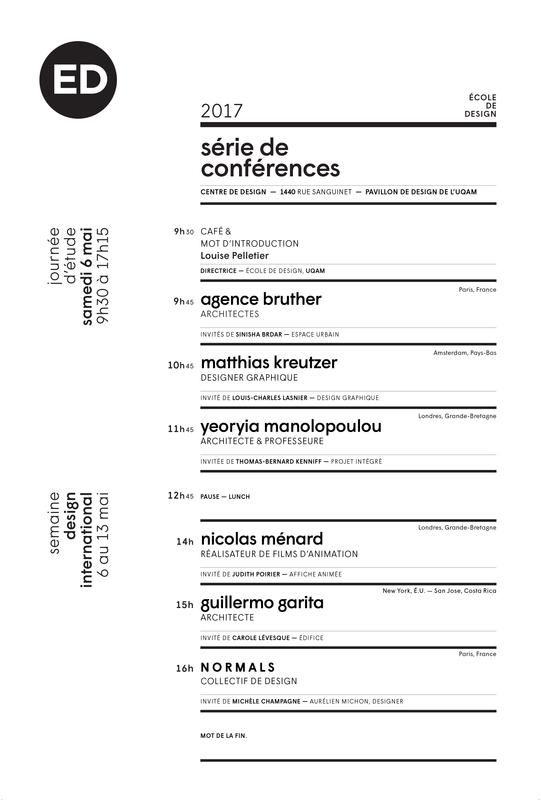 The week will start with a series of public lectures in which Yeoryia will present the work of AY Architects.